Jewish tradition includes a great deal of excellent commentary on the psychologically astute stories and insightful ethical maxims of the Aggada. 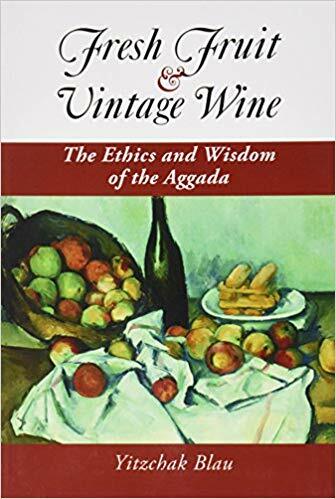 In Fresh Fruit and Vintage Wine, Rabbi Yitzchak Blau provides access to this commentary culled from the broad range of Jewish literature: Talmudic commentaries, works of Jewish philosophy, Hassidic homilies, biblical commentaries, and ethical tracts. Insights adapted from the finest examples of Western literature also aid the interpretative process. Fresh Fruit & Vintage Wine takes the enduring wisdom of ancient texts and expresses it with freshness and vitality. The volume speaks directly to religious issues: Jewish philosophy, prayer, festivals, character traits, halakhic observance, a balanced religious life, education, and modernity. The writing is lively, engaging the mind and elevating the soul, and the unfolding meaning is a profound and original experience of studying Torah.